Fantastic opportunity in Lake Forest! 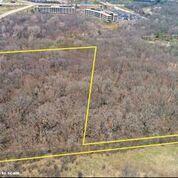 Build your own home on this 5.82 acre wooded site. Adjacent to Conway Farms. Lake Forest water and sewer available. R3 zoning: 40,000 min lot requirement. Close to 294. Lake Forest Transfer Tax $4.00 per thousand.